Augmented reality software maker Upskill has released the latest version of their Skylight platform, adding a number of new tools to ease implementation and improve functionality for enterprises, including a new application builder. Paired with AR smart glasses from Google or Vuzix, Skylight provides users with hands-free guidance and knowledge base to assist in performing various work tasks. It also provides remote assistance, allowing users to share their view with subject matter experts via video call. In the latest version of the software, the Skylight Application Builder enables companies to quickly build and deploy guidance apps for existing processes. With a drag-and-drop interface and a library of UI cards, the builder does not require coding knowledge, reducing both the time to deploy and the cost of development. Along with the application builder, Upskill provides a Skylight Connect tool to integrate the software into databases and web services and a new software development kit for deeper customization of apps via common programming languages and tools. 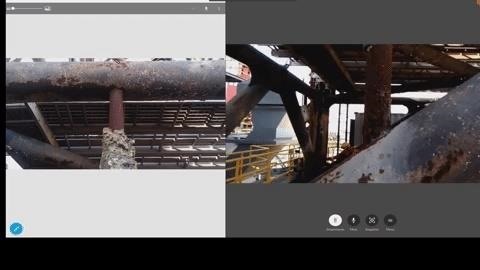 The new version of Skylight brings improvements to the user side as well, with a new set of video collaboration tools, called Skylight Live, which add features such as remote camera zoom, screen capture, and annotation of shared documents and images. GE has a dual interest in the technology. 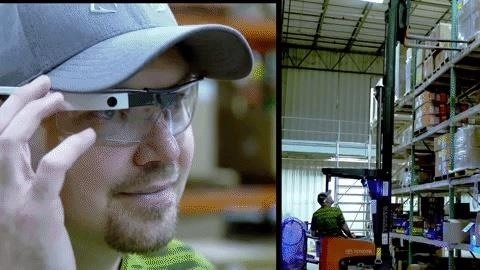 As a customer, they have implemented Upskill with Google Glass and Vuzix M300 in pilot programs that have improved process efficiency. They are also a strategic investor in the company, most recently participating in a Series B funding round alongside Boeing, another Upskill customer. We are embracing the use of AR and emerging technologies across GE to simplify work and increase safety with hands-free access to just-in-time support. The new release of Skylight will allow our teams to further capitalize on the new opportunities the technology presents and enable rapid integration of more use cases across the GE network. The market for productivity applications built on augmented reality technology is one of the more mature segments, with Atheer, ScopeAR, Ubimax, and others offering similar software solutions. With interest high and adoption low among enterprises, there's also room for growth, which makes the segment attractive from an investor's standpoint. "I think that is AR at its best, which is truly augmenting intelligence and knowledge in general so humans can focus on exercising higher levels of thinking around creativity, strategy, communicating, persuading, and influencing and less time on gathering information and having contextual awareness about a subject. There's a whole constellation of opportunities around that sub-theme," said Lara Jeremko, strategic advisor at Techstars.